Escherichia coli (E. coli) is among the pathogens that cause diarrhea both in developed and developing countries. Molecular detection of pathotypes of E. coli causing diarrhea in Keffi, Nigeria was carried out. Fifty (50) stool samples were collected from patients attending two health facilities in Keffi, who are suspected to have diarrhea. E. coli was isolated from the stool samples using standard microbiological methods. Molecular detection of genes encoding virulence factors of the different pathotypes of diarrhegenic E. coli(DEC) namely: enteroaggregative E. coli(EAEC), enteroinvasive E.coli (EIEC), enterohemorrhagic E.coli(EHEC), enteropathogenicE. coli (EPEC), and enterotoxigenic E.coli (ETEC) was carried out using multiplex Polymerase Chain Reaction (mPCR) method. All the samples collected harbored E. coli. The order of detection frequency of DEC was: EAEC (22.0%) > EIEC and ETEC (2.0%) > EHEC and EPEC (0.0%). Diarrheagenic Escherichia coli (DEC) is important intestinal pathogens causing a wide variety of gastrointestinal diseases, particularly among children in developing countries .Six pathotypes of DEC strains are frequently detected worldwide; and described based on the genes mediating the virulence factors associated with the diarrheal diseases caused by them: EnteropathogenicE.coli (EPEC), Enterotoxigenic E.coli (ETEC), Shiga toxin-producing E.coli (STEC) or Enterohaemorrhagic E. coli (EHEC), EnteroaggregativeE. coli (EAEC), Enteroinvasive E.coli (EIEC) and diffusely adherent E. coli (DAEC) [7, 6].Person-to-person transmission and consumption of foods and drinking water contaminated with human waste are the main modes of acquiring DEC infections . The detection of DEC strains is difficult since these strains cannot be easily distinguished from the normal faecal flora using conventional phenotypic methods. Molecular identification and classification of DEC is established by the presence or absence of one or more specific virulence genes, which are absent in the commensal E. coli . In Nigeria, there are reports on the isolation of DEC pathotypes in different parts of the country [8, 9, 7, 4]. There is, however, no study from Keffi on the DEC pathotypes causing disease amongst residents. This study is the first report in that direction. This study was carried out in Keffi metropolis. A total of fifty (50) stool samples were collected from patients with cases of diarrhea attending General Hospital, Keffi and Federal Medical Centre, Keffi using sterile containers and transported to Federal Medical Centre Laboratory, Keffi, for analyses. Ethical clearance was obtained from the Ethical Committees of the hospitals. The consent of each patient was obtained before sample collection. Escherichia coli were isolated and identified from the stool of diarrheic patients using standard cultural, microscopical and biochemical methods . Loopful of the stool was streaked on Mac Conkey agar (MCA: Biotec Laboratories Ltd, Ipswich, United Kingdom) and incubated at 37oC for 24 h. Pink colonies from MCA were further streaked on Eosine Methylene Blue Agar (EMB: Biotec Laboratories Ltd, Ipswich, United Kingdom) and incubated at 37oC for another 24 h. Colonies with greenish metallic sheen characteristics on EMB were identified and confirmed by microscopy (Gram staining) and some minimal biochemical tests for E. coli identification namely:indole, methyl red, Voges-Proskauer and citrate (IMViC). The isolates were stored in the refrigerator at 4°C on Nutrient agar (NA: Merck KGaA, Darmstadt, Germany) slants and reactivated by sub-culturing on MCA and used in experiments. The DNA of the E. coli isolates was extracted using a method earlier described by . Briefly, 3 pure colonies of E. coli isolates from MCA plate was inoculated into 5 ml of sterile Luria-Bertani Broth (InqabaBiotec, South Africa) in a bijou bottle and incubated at 37oC for 7 h. The 7-hLuria-Bertani Broth culture was transferred into a sterile Eppendorf tube and boiled at 100oC for 20 mins and the culture was centrifuged at 10,000rpm for 10 mins to pellet the cell debris. The supernatant was used for mPCR. The mPCR assay of DNA extracted from E. coli isolates was carried out following a method described by .The DNA templates were subjected to multiplex PCR with specific primers for the detection of the following virulence markers: eaeA(structural gene for intimin of EHEC and EPEC),bfpA(structural gene for the bundle-forming pilus of EPEC), vt1 and/or vt2 (Shiga toxins 1 and 2 of EHEC), eltBand/or estA(enterotoxins of ETEC), ial(invasion-associated locus of the invasion plasmid found in EIEC and Shigella) and pCVD (the nucleotide sequence of the EcoRI-PstI DNA fragment of pCVD432 of EAEC). The mPCRs were performed with a 25 μl reaction mixture containing 5 μl of template DNA, 0.2 μl of 18x PCR buffer II, 1.6 μl of a 1.25 mM mixture of deoxynucleoside triphosphates, 1.6 μl of 25 mM MgCl2, 0.1 μl of 5 U of AmpliTaq Gold DNA polymerase (Inqababiotec, South Africa) per μl and a 0.2 μM concentration of each primer except primer VT1 (all primers were from InqabaBiotectm, South Africa), which was used at a concentration of 0.4 μM. The thermocycling conditions with a Gene Amp PCR System 9700 (AB Applied Biosystem) were as follows: 95°C for 5 min, 94°C for 20 sec., 55°C for 30 sec., and 72°C for 30 sec. for 30 cycles, with a final 7min extension at 72°C as described by . The agarose gel electrophoresis for detection of amplified genes for different DEC pathotypes in the E. coli isolates was carried out following a method described by . Briefly, 10μl of PCR products stained with ethidium bromide was loaded into 1.0% (wt/vol) agarose gel wells with a molecular marker (1-kb DNA ladder) run concurrently at 120 mV for 30 min. The DNA bands were visualized and photographed under UV light at 595nm using an ultraviolet trans-illuminator. The data obtained from this study were analyzed using chi-square test by the use of Smith Statistical Package (SSP) version 2.8 and the significance was determined at 5 % probability (that is P= 0.05). LT= Enterotoxigenic E.coli(ETEC); ST= Enterotoxigenic E. coli (ETEC); VT= Enter hemorrhagic E.coli (EHEC); Eae= Enter hemorrhagic E.coli(EHEC); SHIG= Enteroinvasive E. coli (EIEC); BfpA= EnteropathogenicE.coli(EPEC); EA= EnteroaggregativeE. coli (EAEC). The primers were products of InqabaBiotec, South Africa as shown in Table 1. The reference diarrhegenic and non-diarrhegenic. E.coli strains and their target genes are shown in Table 2. ETEC= Enterotoxigenic E.coli; EHEC= Enterohemorrhagic E. coli; EPEC= Enteropathogenic E.coli; EIEC= EnteroinvasiveE. coli; and AEC= Enteroaggregative E.coli. Plate 1: Multiplex PCR amplification of reference strains of diarrheagenic Escherichia coli from pure cultures (Lane 1, E. coli ATCC 11775; lane 2, EAEC 97R; lane 3, EIEC ATCC 43893; lane 4, EPEC ATCC 43887; lane 5, EHEC ATCC 43889; lane 6, EHEC ATCC 43890; lane 7, ETEC ATCC 35401; lane M, marker (1-kb DNA ladder; Gibco/BRL). Numbers on the right are in base pairs). Pink colonies from MCA that grew with green metallic sheen on EMB and which were Gram-negative rod, indole- positive, methyl red- positive, Voges-Proskauer- negative and citrate- negative were taken as E. coli. All the stool samples contained E. coli. The isolation rates of the DECs from the stool of the diarrheic patients are as given in Table 3. Of the 50 E. coli isolated, 11 (22.0%) was EAEC; 1 (2.0%) was ETEC; 1 (2.0 %) EIEC; and EHEC and EPEC were not detected. Fig. 1 Isolation rate of different pathotypes of diarrhegenic Escherichia coli in relation to age. ETEC= Enterotoxigenic E.coli; EHEC= Enterohemorrhagic E. coli; EPEC= EnteropathogenicE. coli; EIEC= EnteroinvasiveE. coli; and EAEC= EnteroaggregativeE. coli.P= 0.9209; χ2= 0.4908. The order of isolation frequency of EAEC in relation to age group was 5-10 (50.0%) > 10-15 (40.0%) > 15-20 (20.0%) and 0-5 (17.2%) respectively as given in Table 3. The frequency of isolation of EIEC was 20.0% in age group 10-15 and 0.0% was observed in other age groups as given in Table 3. For ETEC, the frequency of isolation was 2.9 % in age group 0-5 and was not observed in other age groups as shown in Table 3. However, the frequency of isolation of EAEC in relation to gender was high in female (36.4%) than male (10.7%) respectively as shown in Fig 1. ETEC= Enterotoxigenic E.coli; EHEC= Enterohemorrhagic E. coli;EPEC= EnteropathogenicE.coli; EIEC= EnteroinvasiveE. coli; and EAEC= Enteroaggregative E.coli. The isolation frequency of ETEC was 2.2% in female and none was observed in male. The frequency of isolation for EIEC was 2.8% in male and 0.0% in female respectively as shown in Table 4. Diarrheagenic Escherichia coli (DEC) are important intestinal pathogens causing a wide variety of gastrointestinal diseases, particularly among children in developing countries . Six pathogenic diarrheagenic Escherichia coli (DEC strains) are frequently detected worldwide . These pathotypes have been described based on the genes mediating the virulence factors associated with the diarrheal diseases caused by them: EnteropathogenicE. coli (EPEC), EnterotoxigenicE. coli (ETEC), Shiga toxin-producing E. coli (STEC) or Enterohemorrhagic E.coli (EHEC), Enteroaggregative E.coli (EAEC) and Enteroinvasive E.coli (EIEC) [7, 6]. The isolation of E. coli in all (100%) the stool samples is in agreement with studies reported by [7, 13, 8]; and it confirms the fact that E. coli is a common bacteria isolated in stool of human . This high detection E. coli may be due to improper personal hygiene. The high frequency of detection of EAEC observed in this study was not surprising and in agreement with another study reported elsewhere .EAEC was previously reported to be endemic in southern Nigeria as well as in sub-Saharan Africa . So, our observation on the occurrence of EAEC in Keffi concurs with what was reported in South-western Nigeria and elsewhere especially in the sub-Saharan Africa .The frequency of detection of EAEC in this study is higher than that reported by ; but the detection of ETEC and EIEC was low as study reported by and . The very low frequency of detection of diarrheagenic E.coli obtained in this study is in close agreement with the study conducted and reported by  who reported a prevalence of E. coli O157: H7 in children with diarrhoea as 5.4% in Zaria, Nigeria. Also,  and , reported a prevalence of 5% EHEC O157:H7 in humans, in Lagos, Nigeria. But it is in contrast with the study conducted by , who reported 19.6% prevalence of diarrheagenic E.coli in a study conducted in South Eastern Nigeria. An incidence higher than 40% has been reported in Bangladesh by . Also, we observed that EHEC and EPEC were not detected from this study although other studies in other part of the country reported low frequency of detection of EHEC and EPEC . This is also in total disagreement with studies carried out in South-East Nigeria, which reported that EPEC was the most isolated of all DEC pathotypes followed by EAEC, ETEC, EIEC and EHEC in that order . Outbreaks and sporadic cases of EHEC have been reported in developed countries of North America, Japan, Europe and even Australia . However, there have been few reports of sporadic EHEC in African countries. Three large EHEC outbreaks were previously reported in Swaziland, Central African Republic and the Came room [20, 21]; but some authors criticized the methodology used in those studies as being nonspecific or insensitive . Despite this, our findings tend to align with the earlier observation that EPEC and EHEC may be rare after all .The subjects employed in this study may be infected by other pathogens other than diarrheagenic E.coli since there are different pathogens that can cause diarrhoea in children and adults, including Rotavirus, Salmonella spp., Shigella spp., Campylobacterjejuni, Entamoeba histolytica, and Giardia lamblia. The detection frequency of EAEC in respect to age was high in age groups of 6-10 and 11-15 then 16-20 year. This observation is different from a study reported in Hanoi, Vietnam by . Although the frequency of detection of EAEC gene of E. coli isolates in respect to age of patients was statistically insignificant. The EAEC genes were not detected in age > 21 years and this however disagrees with other studies reported by [19, 4, 9]. Though, we observed that age may not be a factor for prevalence of EAEC. From this study we also observed that EIEC and ETEC were detected in only age groups of 11-15 and 0-5, respectively. This seems to disagree with a study conducted by . Though, EIEC is also reported by researcher across all ages [8, 20, 21].This study also revealed that, the order of frequency of detection of EAEC was high in female than male. The EIEC was detected only in male and ETEC was detected only in female. The frequency of detection of EAEC in relation to age and gender of diarrheic patients was statistically insignificant. This is also in agreement with studies carried out in South-East Nigeria [8, 9]. This may be an advantage in Keffi, because the isolation rate of different pathotypes of diarrheagenic E.coli have been reported to be vary in different geographical areas . Enteroaggregative E.coli (EAEC), Enteroinvasive E.coli (EIEC), and Enterotoxigenic E.coli (ETEC) were the only pathotypes detected; and EAEC frequency was highest at 22%. Age and gender may not necessarily be a factor for prevalence of EAEC gene from E. coli causing diarrhea. We are grateful to staff of Microbiology Laboratory at Federal Medical Centre, Keffi and General Hospital, Keffi for the use of their facility for sample collection and technical support during the study; and to the Department of Medical Laboratory Sciences, Niger Delta University, Bayelsa State for the multiplex PCR analysis. Kaper JB, Nataro JP, Mobley LT. Pathogenic Escherichia coli. National Review of Microbiology 2004; 2: 123. Korea during 2008–2011.J Microbio Biotech2014; 24(3), 421–426. NataroJP,KaperJB.DiarrheagenicEscherichia coli. ClinMicrobioReview. 1998; 11: 142-201. Sani A, Onaolapo JA, Ibrahim YKE, Idris HW, IgweJC,Nworie A. Prevalence of Escherichia coli pathotypes among children with diarrhoea in Zaria, sNigeria; British J Medicine and Medical Res20007:17-24. Koneman EW, Alen SP, Janda WM, Schreckenberger PC, Winn WC.Color Atlas and Text book of Diagnostic Microbiology, J. B. Lippincott, Philadelphia. 6thEdition, 2006; 235-269. Ali MMM, Ahmed SF, Klena JD, Mohamed ZK, Moussa TAA, Ghenghesh KS. EnteroaggregativeEscherichia coli in diarrheic children in Egypt: molecular characterization and antimicrobial susceptibility. Journal of Infection Developing Countries 2014; 8(5):589-596. Okeke IN, Ojo O, Adebayo L,Kaper BJ. Etiology of Acute Diarrhea in Adults in Southwestern Nigeria. JClinMicrob.2003; (41)10: 4525-4530. Nweze EI. Virulence Properties of DiarrhoeagenicE. coliand Etiology of Diarrhoea in Infants, Young Children and Other Age Groups in Southeast, Nigeria.American-Eurasian JSc Res.2009; 4(3):173-179. Cheesbrough M. District Laboratory practice in Tropical Countries. Cambridge University, United Kingdom2006; Part 2. 63–70. Nguyen TV, Le VP, Le HC, GiaKN,Weintraub A. Detection and characterization of diarrheagenicEscherichia coli from young children in Hanoi, Vietnam. J ClinMicrobio,2005; 43(2):755-760. Svenungsson B, LagergrenA,EkwallE, EvengårdB, Hedlund KO, Ka¨rnellA., Lo¨fdahlS., Svensson L, WeintraubA.Enteropathogensin adult patients with diarrhea and healthy control subjects: a 1-yearprospectivestudy in a Swedish clinic for infectious diseases. Clin. Infect. Dis. 2000;30:770–778. Ochoa TJ, Ruiz J, Molina M, DelValle LJ, Vargas M, Gil AI, Ecker L, Barletta F, Hall E, Cleary T G, Lanata CF. High frequency of antimicrobial drug resistance of diarrheagenicEscherichia coli in infants in Peru.American J Trop Med Hygiene. 2009;81: 296-301. Aslani MM, AlikhaniMY, Zavari A, YousefiR,Zamani AR. Characterization of aggregative (EAEC) clinical isolates and their antibiotic resistance; International J Infect Dis 2011; 15: e136-139. Vila J, Vargas I.R, Henderson JG,Nataro JP. Enteroaggregative Escherichia coli virulence factors in traveler’sdiarrhea strains. J Infect Dis.2000; 182: 1780-1783. Chigor VN, Umoh VJ, Smith SI, IgbinosaEO,Okoh AI. Multidrug Resistance and Plasmid Patterns of Escherichia coli O157 and Other E. coli Isolated from Diarrhoeal Stools and Surface Waters from Some Selected Sources in Zaria, Nigeria. International J Environ Res Public Health2010;7(10):3831–3841. Ogunsanya TI, Rotimi VO. Adenuga A. 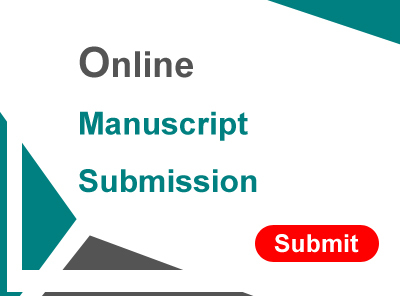 A study of the aetiological agents of childhood diarrhoea in Lagos, Nigeria. J Med Microb;2009.40:10–14. Olorunshola ID, Smith SI, Coker AO. Prevalence of EHEC O157:H7 in patients with diarrhoea in Lagos, Nigeria.ActaPathologicaMicrobiologicaetImmunologicaScandinavica;2000; 108:761-763. Albert MJ, Faruque AS, Faruque SM, Sack RB,Mahalanabis, D. Case-control study of enteropathogens associated with childhood diarrhoea in Dhaka, Bangladesh. J ClinMicrobio1999; 37:3458-3464. Effler E, Isaa¨cson ML, Arntzen RH, Canter TP, Barrett L, Lee C, Mambo W, Levine AZ, Griffin PM. Factors contributing to the emergence of Escherichia coli O157 in Africa Emerging Infect Dis 2001; 7: 812-819. Abimiku, R.H.,*Ngwai, Y.B., Nkene, I.H., Tatfeng, Y. M. (2016). Molecular detection of diarrheagenic pathotypes of Escherichia coli from diarrheic patients in Keffi, Nigeria. 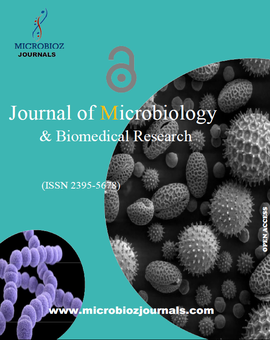 Microbioz Journals,Journal of Microbiology and Biomedical Research, 2(3), 1-to.